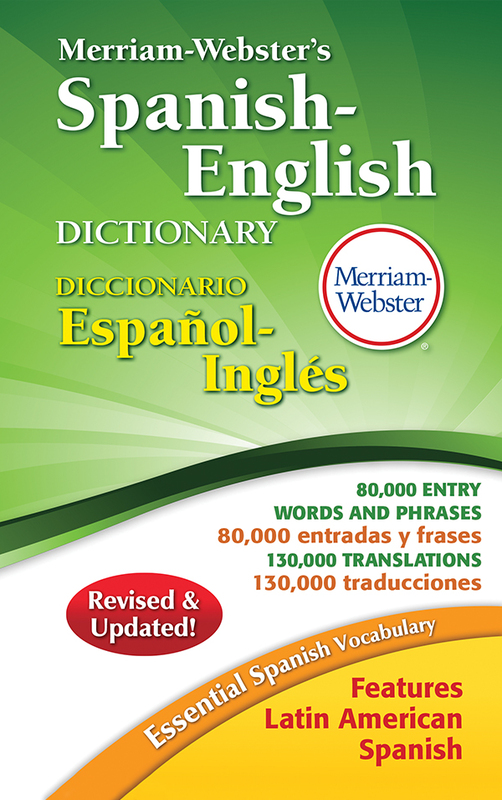 More than 22,500 words and concepts in Spanish and English. 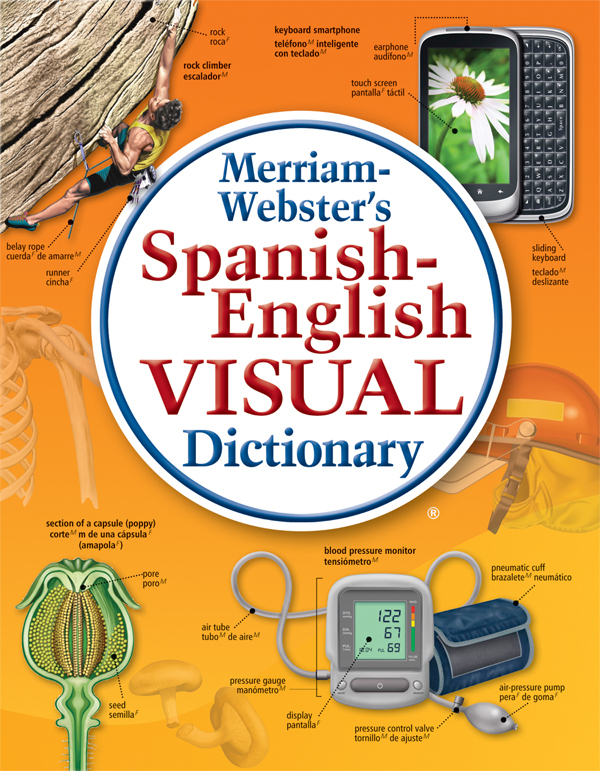 A compact guide to essential Spanish and English vocabulary. 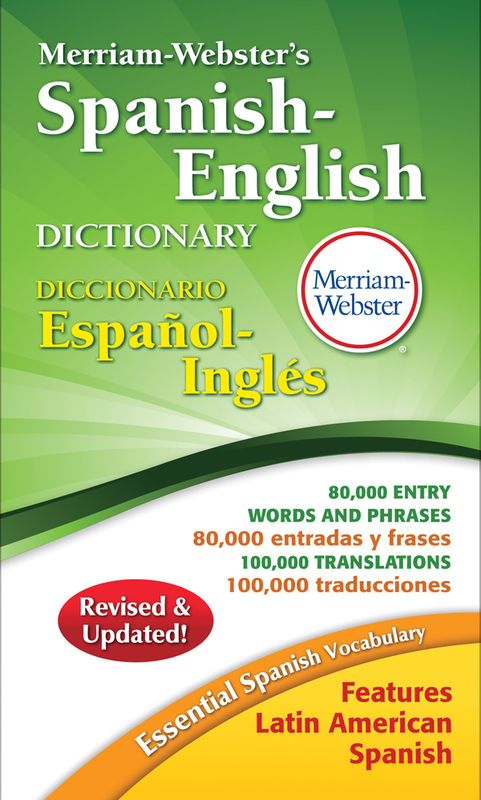 A bilingual, bidirectional guide to American English and Spanish with extensive coverage of Latin American Spanish. 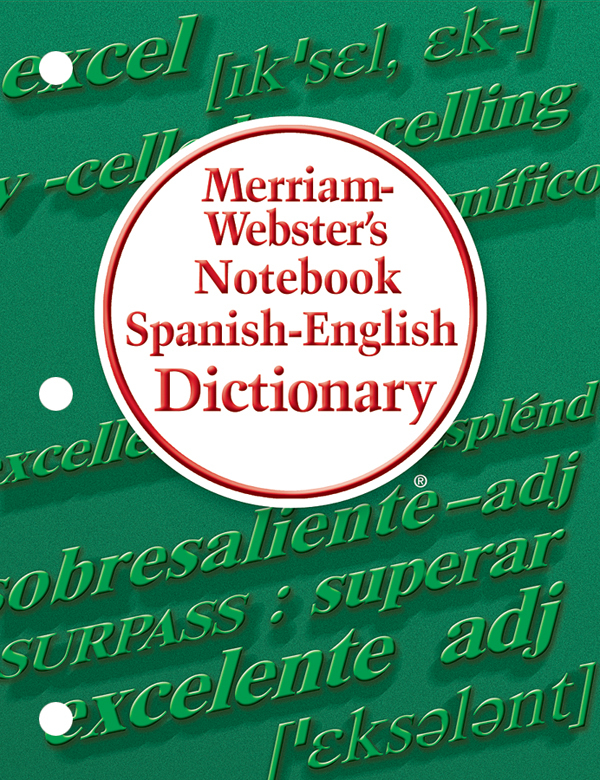 A practical guide to English synonyms for Spanish speakers. 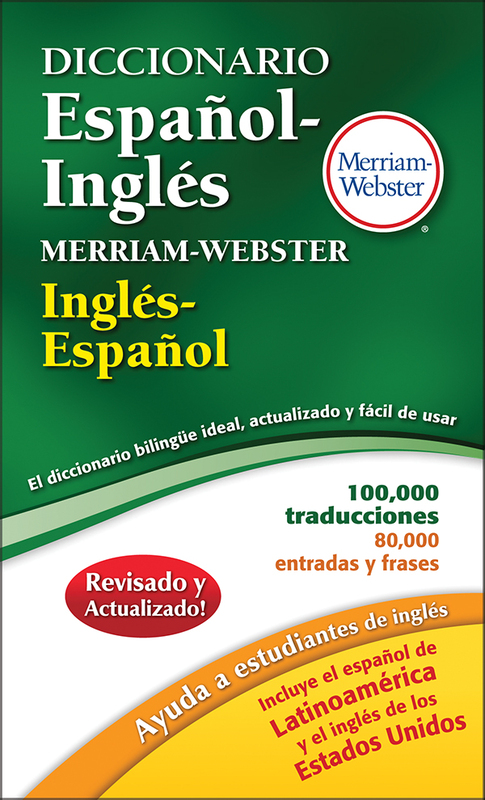 A multipurpose language reference set designed for speakers of Spanish, with special features for learners of English. 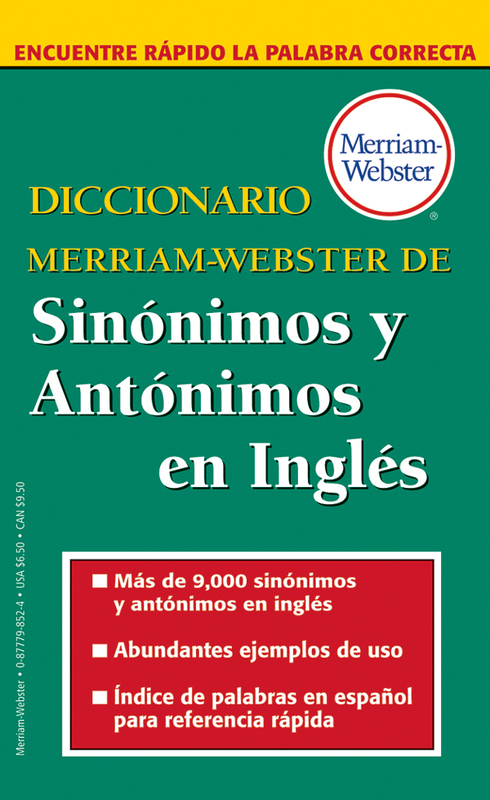 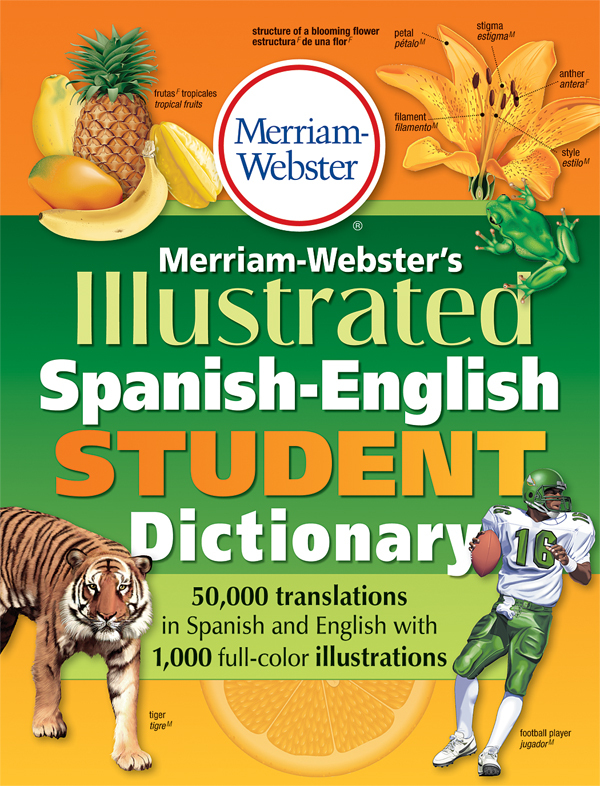 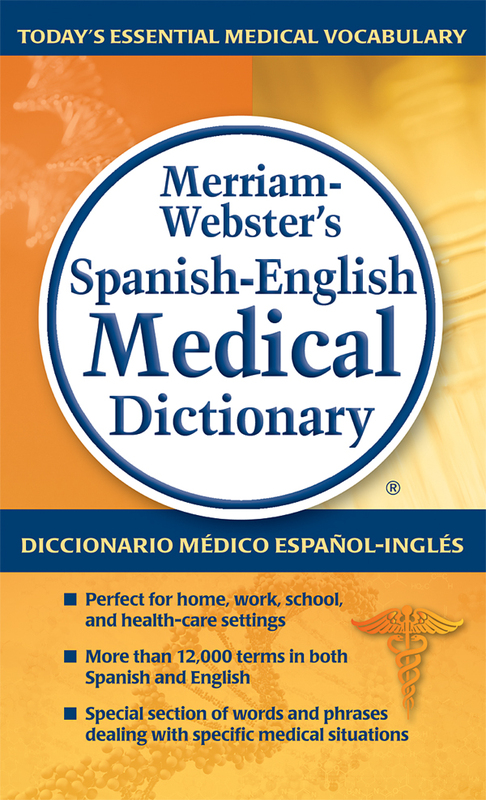 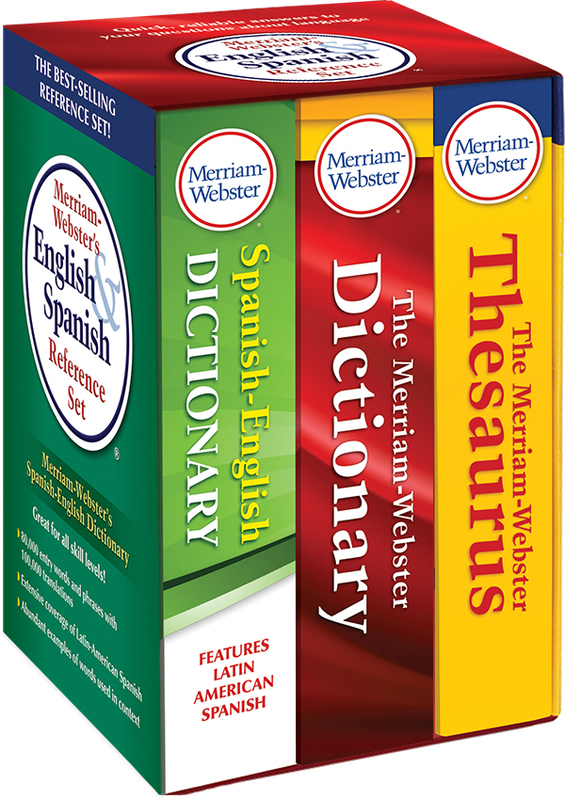 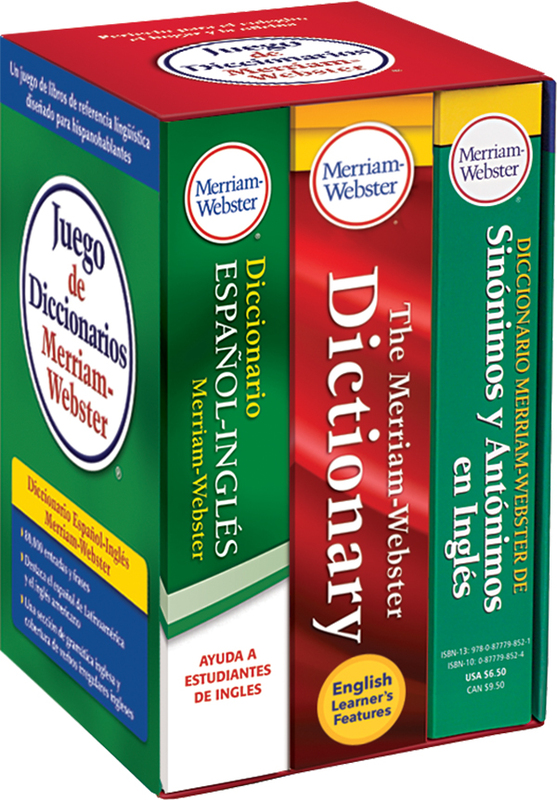 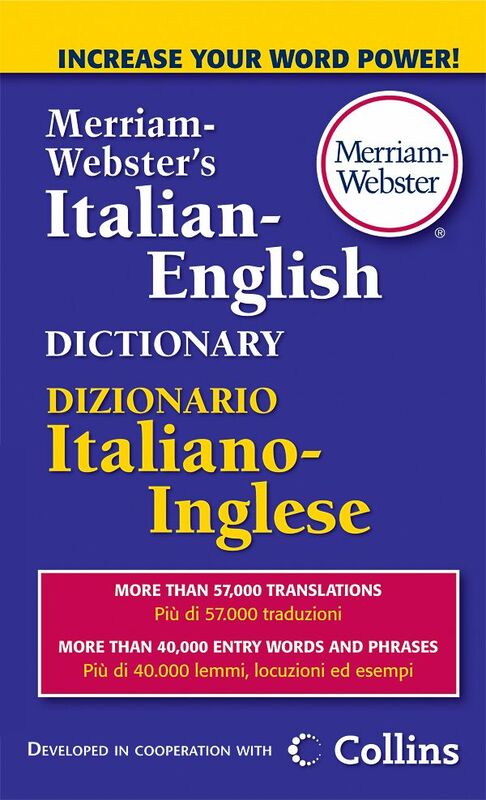 An affordable language reference set featuring our Spanish-English dictionary. 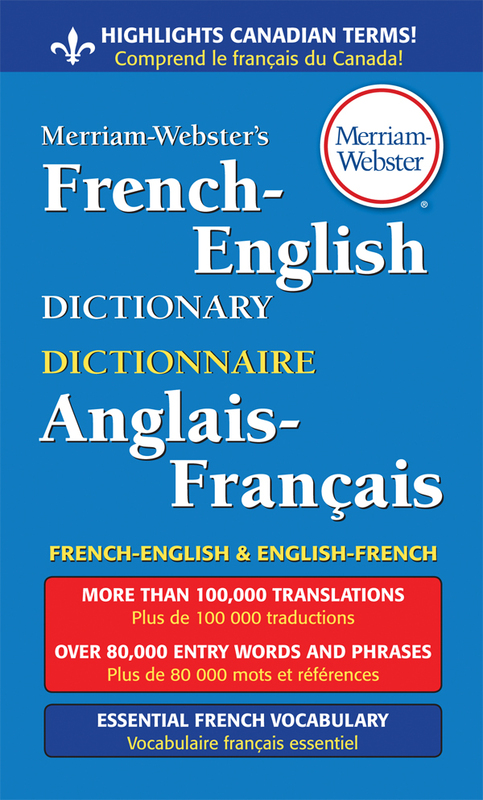 A bilingual, bidirectional guide to French and North American English. 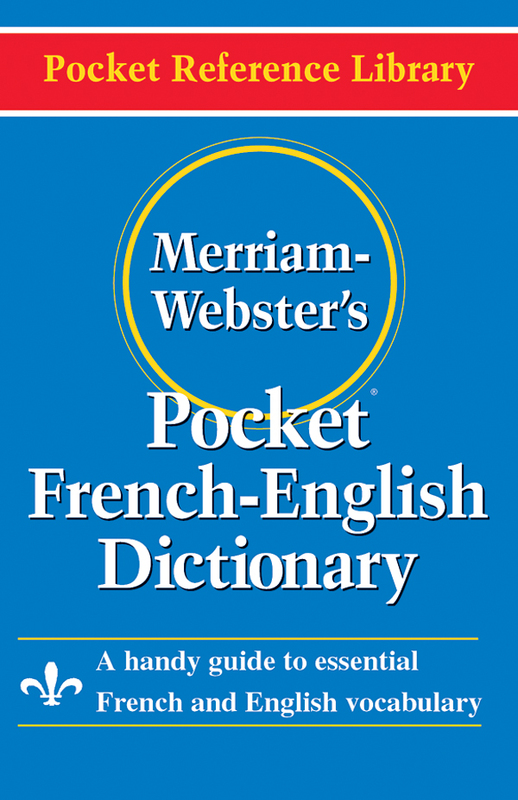 A bilingual, bidirectional compact guide to essential French and English vocabulary. 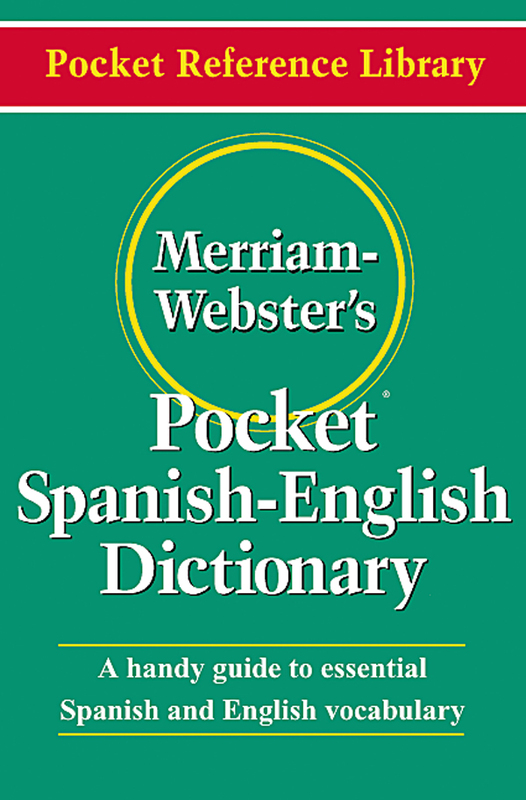 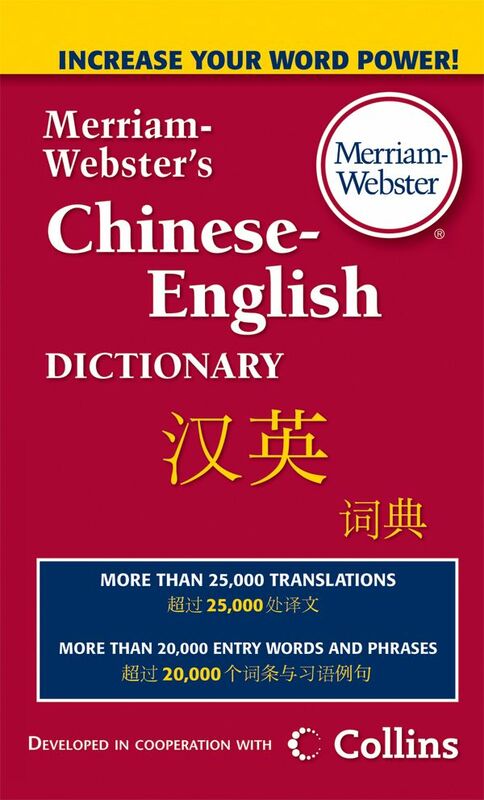 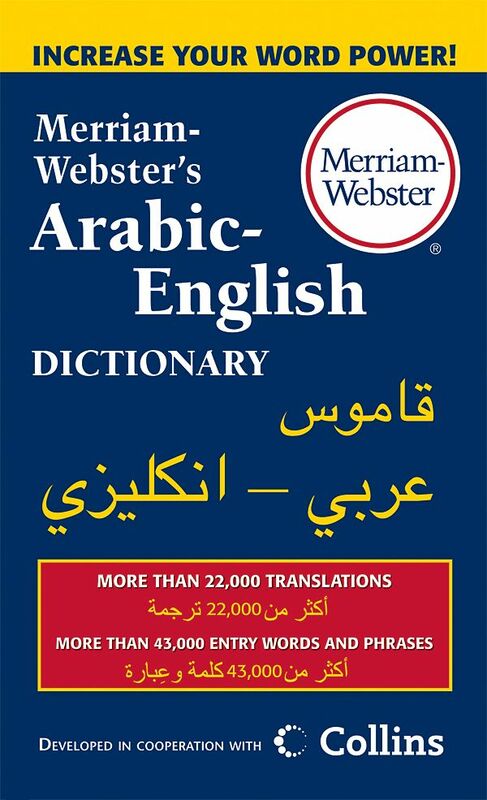 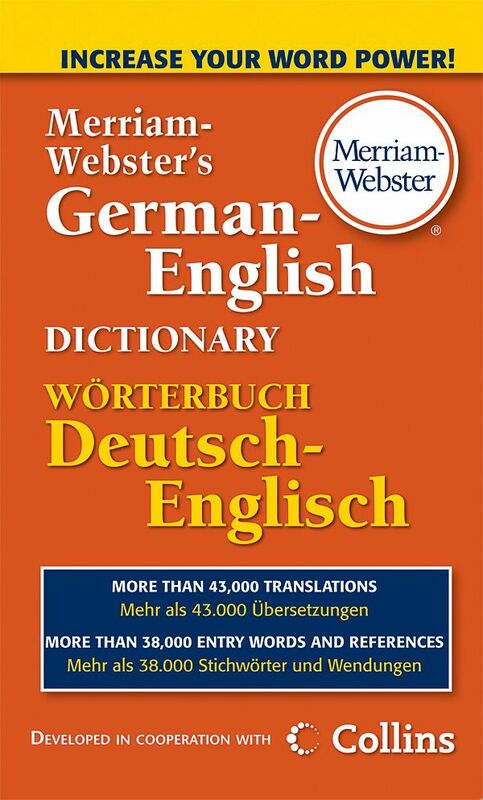 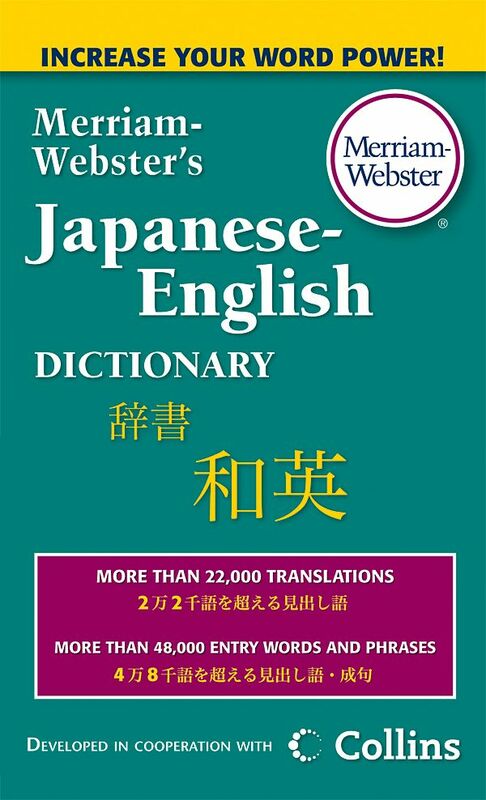 New title joining Merriam-Webster's best-selling line of bilingual, bidirectional dictionaries.